Recently, I had the opportunity to attend FUTURECAR 2017 at Georgia Institute of Technology (“Georgia Tech”). This annual workshop, held by Georgia Tech and Semi, addresses the rapid evolution of automotive technology and electronics, and brings together global leaders in automotive manufacturing across the entire supply chain, design, R&D, and academia. At the conference, we shared insights on the important trends we believe are driving the automotive industry, including the need to save weight and cost in electronics as the electronic content of vehicles continues to increase. This, of course, is one way Gallium Nitride (“GaN”) power devices provide a competitive advantage to today’s and tomorrow’s automotive leaders. 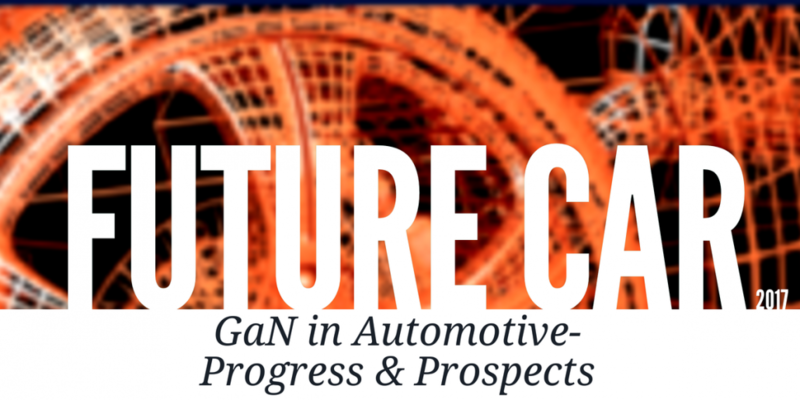 At this year’s workshop I presented GaN in automotive – progress and prospects. 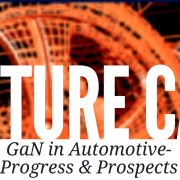 After the presentation, there was a lively discussion, with many different stakeholders in the automotive supply chain striving to understand how the advent of GaN will affect them. If you’d asked me two years ago what was the primary technology driving the automotive industry, I would have answered: electrification. The endless quest for lower emissions and better fuel efficiency is forcing the use of electronics in every part of the vehicle. Now, there’s a noticeable shift in the automotive industry’s focus because of the pressing need for technologies driving autonomous and intelligent cars. While electrification is still important, it’s increasingly seen as inevitable. Why? Because to build an autonomous car, you need to start with a car where all of the systems are driven and controlled by electronics. For the biggest automotive manufacturers, this also means that they see themselves in the future not as selling cars but providing transportation as a service. Today, ride sharing apps like Uber and Lyft are leading this shift, and in the near future, it will be self-driving cars that will transport passengers from point A to point B.
Don’t make the heat: Squeezing power electronics into a small space means that the electronics get very hot, and you can use SiC devices to cope with the high temperatures. Alternatively, using GaN means you don’t make so much heat in the first place, leading to systems that are both compact and energy efficient. Efficiency is worth real money: The inverter drive in an electric car can be made more efficient by switching from silicon to SiC, and more efficient still by switching to GaN. Is it worth it? In a pure electric car, it definitely is. A more efficient inverter means you can achieve the same range with a smaller, cheaper battery – resulting in significant savings in cost and weight. AI makes emissions, too: Autonomous cars require a lot of cloud processing. In fact, one autonomous car uses the same amount of computing resources as 2,000 Internet users! To meet this demand, car companies such as BMW, Ford and Toyota are building or leasing large amounts of datacenter capacity. All this processing for cloud computing is using energy and creating carbon dioxide. The simple truth is that if automotive manufacturers are making cars more efficient to produce a low carbon footprint, then they need to think about their data center’s carbon footprint. GaN provides a ready-made solution here, since it already plays an integral role in reducing the carbon footprint of datacenters by making their power systems more compact and more efficient. Without question, we are seeing a notable shift in the technological perspective in the automotive industry. The fast pace of change will most likely result in a new breed of automotive leaders. GaN Systems is working with ‘early adopters’ in the automotive industry, enabling them to use technology to revolutionize how people drive while reducing the environmental impact of transportation. For more information, visit www.gansystems.com.